Our Home Energy Raters are certified through The Residential Energy Services Network (RESNET). The rater will audit your home using a “whole house” approach, meaning they will look at the house as a system. Once we talk with you about the problems you are having, we will model your entire home into a program called REM/rate. This is an advanced energy modeling software program that allows us to look at each component of the home in detail. Talk with you about problem areas and concerns with your home. Evaluation of the interior and exterior of the home with a focus on the building envelope and water management systems. If blue prints are not available, we will take measurements and input all the information into REM/rate. Blower Door Testing to locate air leaks and inadequate/missing insulation which cause discomfort & waste energy. We will review anything we find that day with you on the spot. We will analyze the data at our office and generate a report that has a prioritized list of improvements that are needed. Our recommendations are based on real numbers and data, not just opinions. We will be able to show you a break down of where your energy is being used. 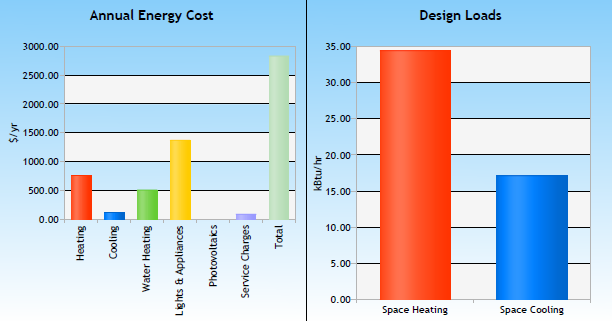 Once we determine that, we can then determine what retrofits make the most sense from a cost payback standpoint. We can also help you get in contact with professionals that perform any work we recommend.